Shop Chrome Postcard. 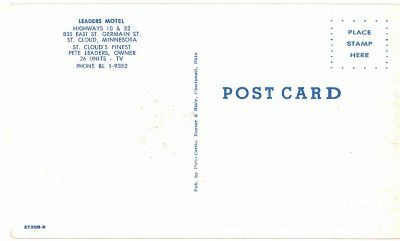 Leaders Motel, St Cloud, Minnesota. Pete Leaders Owner. 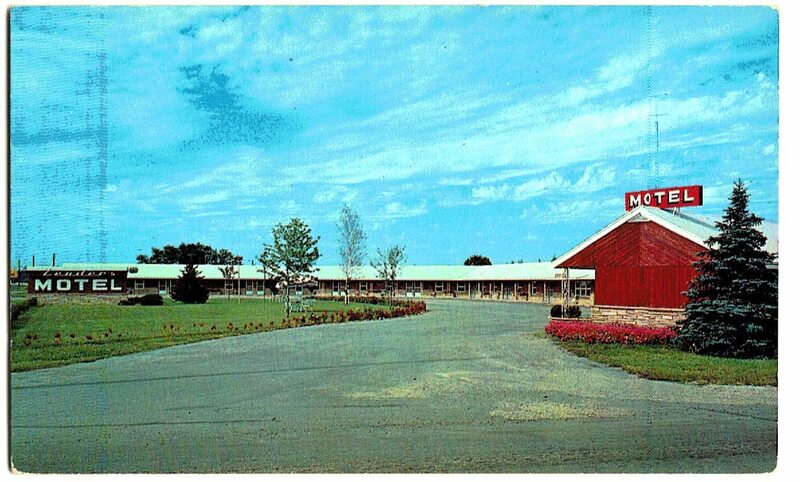 Chrome Postcard. 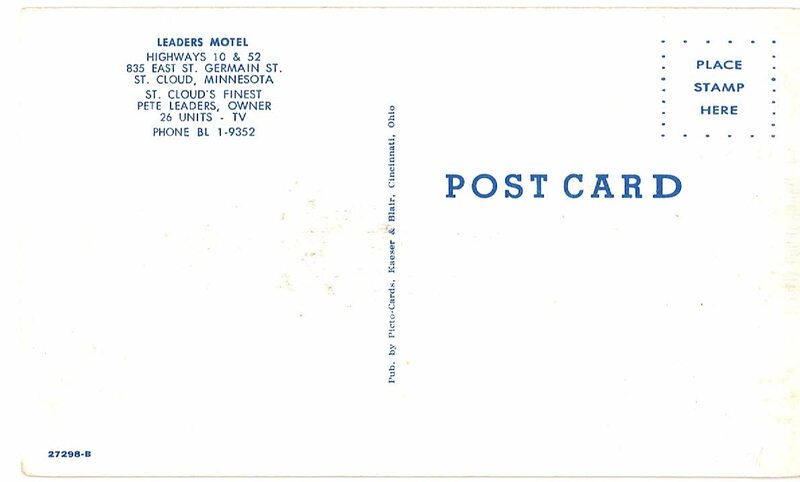 Leaders Motel, St Cloud, Minnesota. Pete Leaders Owner. Publisher: Picto-Cards, Kaeser & Blair, Cincinnati, OH. Condition: very good, some wear on corners, unused.